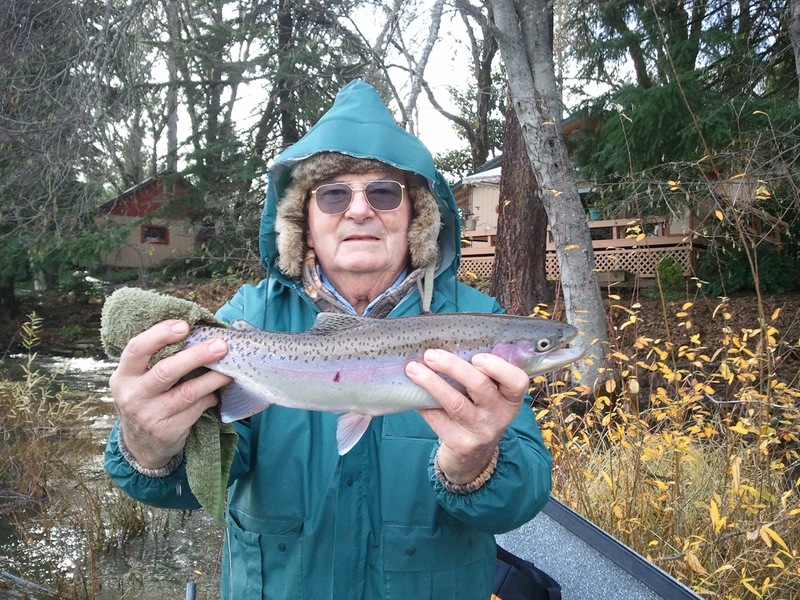 The fish on the upper Rogue River are still around in good numbers. They're now getting pretty dark and ready to spawn and we aren't seeing too many that are worth taking home for the BBQ. As you can see my client Ron had a good day with 2 bobber fish and one 2 plug fish. The majority of the fish are in the upper 10 miles but there was a report yesterday of a winter steelhead being caught below Grants Pass. 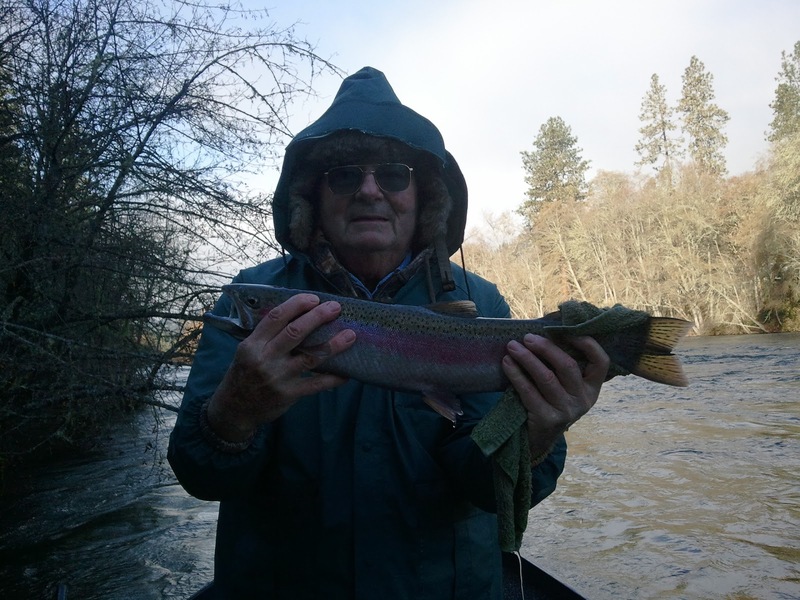 Good sign that the high water is pushing fresh fish up the river in a hurry. 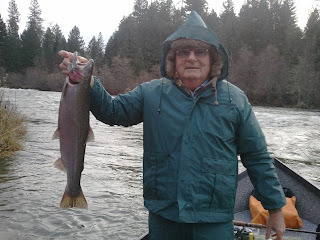 As of today 12/15/12 the South Umpqua River is also coming into shape and there are a few winter fish being caught. It should be good after Christmas with all the high water we've seen in southern Oregon in the past few weeks. 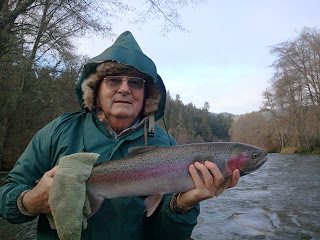 Click on my BOOK A TRIP tab and fill out the "Contact Us" form to book your Umpqua River winter steelhead adventure today!